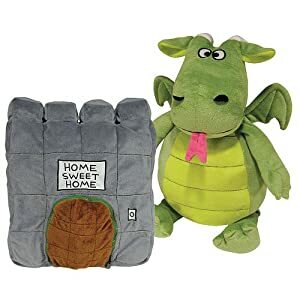 Happy Nappers Dragon Play Pillow For Kids $8.98 (reg $24.99). FREE Super Saver Shipping on orders over $25. 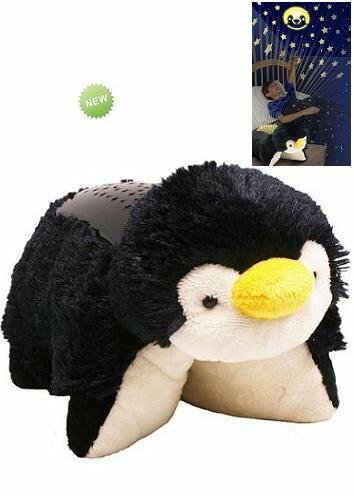 -Happy Nappers "the perfect play pillow"
Ontel Products DLPEN-MC4 Dream Lites Penguin 企鹅的抱枕。top 上面的镂空可以发光， 打出小星星来，光很柔和可以做夜灯用。 原价30刀， 现在打折只要 $12.76. Happy Nappers Ladybug stuff animal, 小孩子可以抱着睡觉， 带carry case 可以收起啦。 原价25刀，现在打折只要$4.49. A perfect carry case to keep all your birds in one place, Ring the Doorbell to hear your Happy Napper's Sleepy Sounds, 21" in Size. Target.com now this Fisher-Price Snugapuppy Calming Vibrations Soother price cut for only $7.64 (regularly $15.99). For comparison, Walmart.com is currently selling this same item for $15.99. 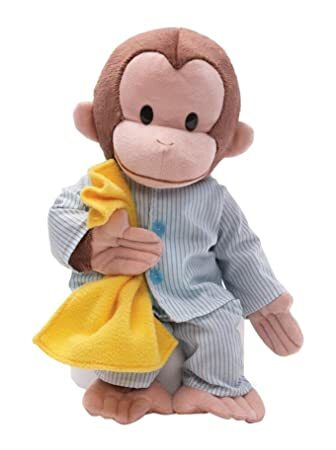 Walmart.com are offering up this highly rated Baby Einstein Octoplush Plush Toy for $9.88 (regularly $19.99). Choose free in-store pick up. This multi-textured developmental plush toy features a Baby Einstein melody when hugged and offers textures for tactile development. Squeeze each leg to hear color names in English, Spanish and French and patterns of the color names are also printed on the underside of each leg in multiple languages. 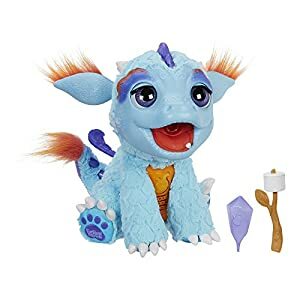 Amazon.com are offering up this FurReal Friends Torch My Blazin’ Dragon for just $39.18 shipped (regularly $55.99). This baby dragon responds with 50-plus sound-and-motion combinations. 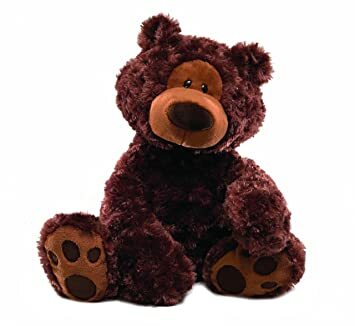 Press his charm, pet his nose, or give him his treat for fun responses, such as breathing flame-colored mist, giggling, snorting, moving his head, and other sounds and movements. 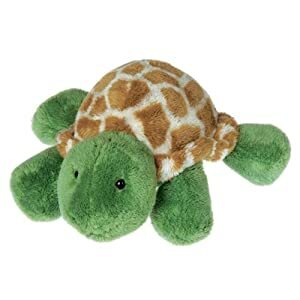 Walmart.com now you can get this Teenage Mutant Ninja Turtles Michelangelo Giant Plush for just 9.99 (regularly $35). Choose free in-store pick up. Teenage Mutant Ninja Turtle fans of all ages are sure to love this shell-tastic jumbo pal! Through tomorrow, October 31st only, ToysRUs.com now you can get this Georgie Interactive 12-inch Electronic Puppy for only $59.99 shipped (regularly $129.99). Georgie responds to your voice commands and loves to snuggle. He has over 100 interactions of random puppy behavior including high five, let’s dance, sit down, stay, stand up, tug-o-war, selfie and more. You’ll receive a rope toy, neck bandana, and a puppy training guide, plus his box doubles as a carrier and the hang tag can be used as a collar and ID tag! 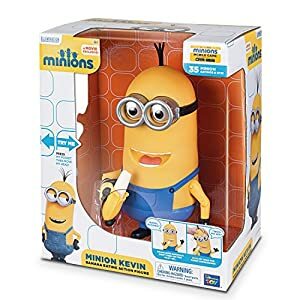 Today, November 15th only, Amazon is offering up HUGE savings on select stuffed animals and characters including items from Pokémon, Curious George, Sesame Street, Care Bears and more. Walmart.com now get this Paw Patrol Real Talking 8″ Plush Zuma for just $7.99 (regularly $24.99). Choose free in-store pick up. Just squeeze the puppy to hear him say phrases from the show and it comes with a badge, a Paw Patrol vest and hat. 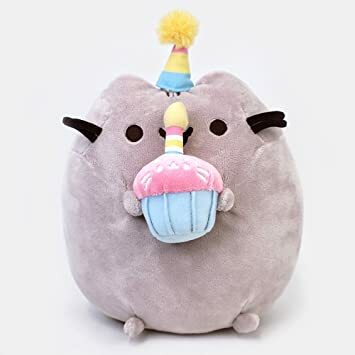 On Amazon.com you can now buy this Gund Pusheen Birthday Plush with Happy Birthday Cake or Cookie for only $12.50 (regularly $25) – awesome reviews! The Birthday Pusheen measures 10.5″ tall and the Cookie Pusheen measures in at 9.5″ tall. At this great price, consider grabbing one of each for your gift closet! 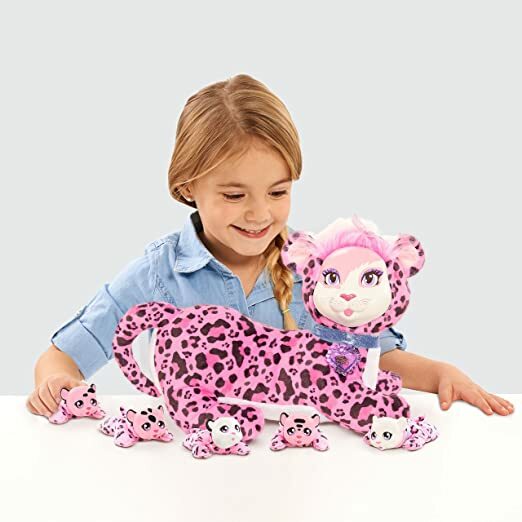 On Amazon.com you can now buy this Just Play Safari Surprise Bianca Leopard Plush for just $11.38 (regularly $24.99) – lowest price! This leopard comes with a surprise number of cubs in her litter – either three, four of five! She measures 14″ x 12″ and is best for ages 3+. On ToysrUs.com you can now buy this Little Live Pets Puddin My Dream Kitten for just $38.49 (regularly $54.99)! This kitten responds to your touch with sounds and movements that a real kitty would make! 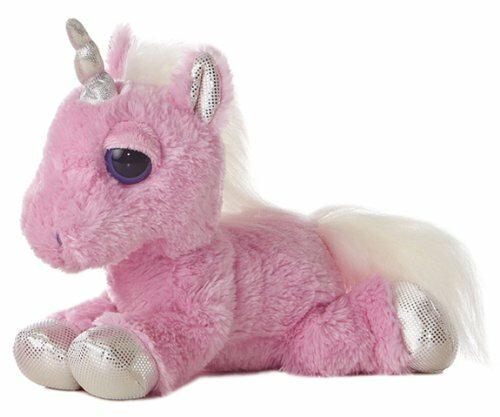 It nuzzles, blinks eyes and purrs when happy (recommended for ages 4+). 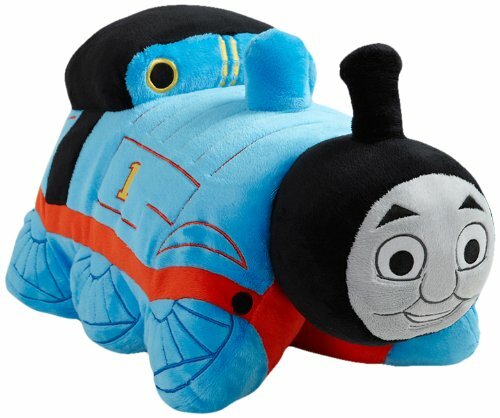 On JCPenney.com where they are offering some great deals on select Disney Plush – save as much as 50% off or more! On Walmart.com you can now get these Popples Talk & Pop Plush characters for as low as $5.99 (regularly $20+). 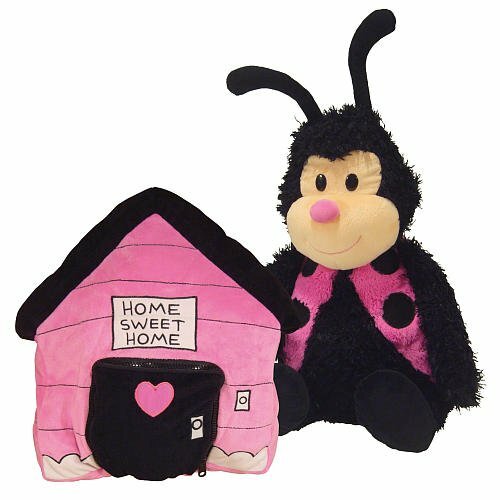 These cute plush pets are perfect for kids ages three and up. Just like the 90’s toys, they pop open from a ball into a plush character. Simply squeeze their belly to hear one of eleven different phrases directly from the original Netflix series. 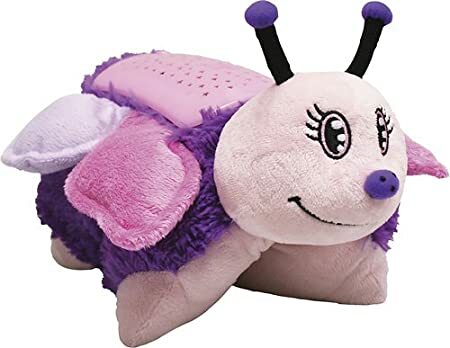 Walmart.com where these Disney Flip-a-Zoo Collection Plush Toys are priced at just $5.99 (regularly $19.97)! Each 2-in-1 plush transforms from one favorite character into a second one. On Walmart.com now they are offering the furReal Chatty Charlie Bonus Pack for just $20.97 (regularly $49.99)! This bonus pack includes Chatty Charlie plus cute capes, arm bands, and masks! This Barkin’ Beagle pet is one fun dog! His collar translates barks to phrases so you can understand him and with 80+ barks to phrases, he has a lot to talk about! Plus, he responds to sounds and touch and he loves to be cuddled. 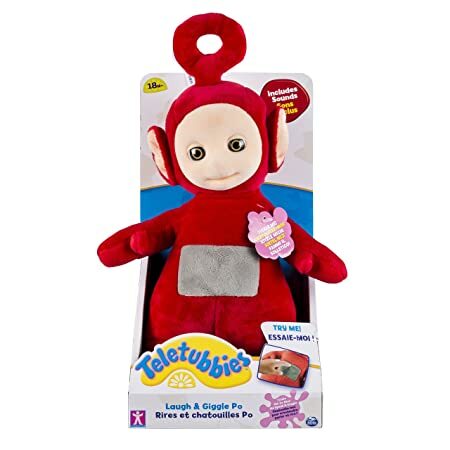 On Amazon.com you can now get this Teletubbies 10″ Laugh and Giggle Po for only $5.27 (regularly $19.99). 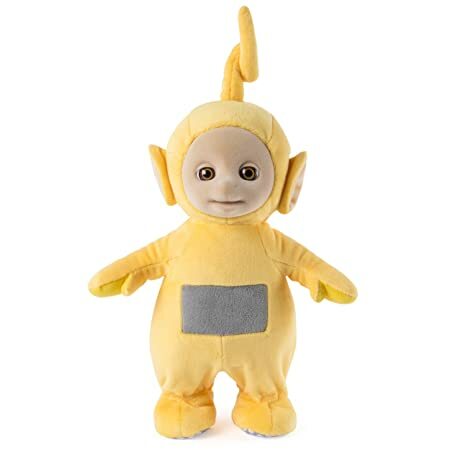 You can also get this Teletubbies 11″ Jumping Laa Laa Plush for just $6.88 (regularly $39.38) from Walmart or Amazon. These super-soft plush toys jump, giggle and sings songs when you push their tummies (great for ages 1 ½ to 3 ½ years old). Press Laa Laa’s tummy and she’ll also start jumping up and down! 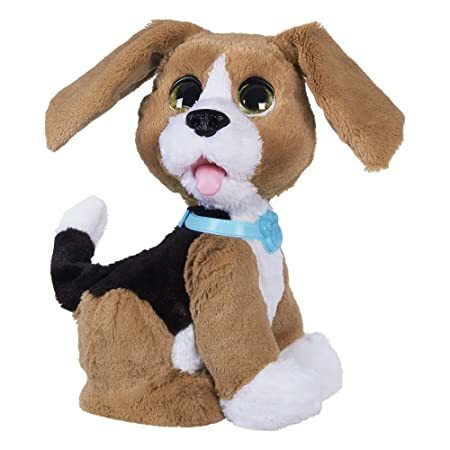 On Amazon.com you can now get this FurReal Chatty Charlie the Barkin’ Beagle toy for just $14.97 (regularly $49.99). This is a great deal at 70% off! This fun interactive pet responds to sounds and touch and lifts his ears and wags his tail. His special collar translates his barks to words and he says over 80 different phrases. So fun!